Welcome to the Digimap website. We specialise in creating software solutions and providing digital maps of Guernsey, Alderney, Herm and Sark. The Guernsey Bailiwick mapping is created by the States of Guernsey and we the sole marketing, sales and distribution agent for the States of Guernsey Mapping. 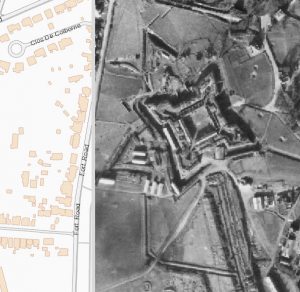 Digimap are pleased to be able to launch the States of Guernsey’s new WWII seamless aerial photography of Guernsey. The images are based on allied reconnaissance of the Island and were all taken in 1945. The States of Guernsey Mapping Team have assembled this scale accurate image from many hundreds of images across a number of different reconnaissance sorties. This aerial map has been made available on the internet by kind permission of the States of Guernsey Mapping Management Board. Please click on the image for the Web App provided by Digimap. The bar down the centre can be moved left or right to “swipe” between the latest map and 1945 photography, or just to view the 1945 aerial photography. Please do visit our interesting Marinas pages. These are updated on a regular basis.